Experiments with ultra-cold atoms at the TU Wien have shown surprising results: coupled atom clouds synchronize within milliseconds. This effect cannot be explained by standard theories. When atoms are cooled down to almost zero temperature, their properties change completely. They can turn into a Bose-Einstein-Condensate, an ultra-cold state of matter, in which the particles lose their individuality and can only be described collectively – as one single quantum object. 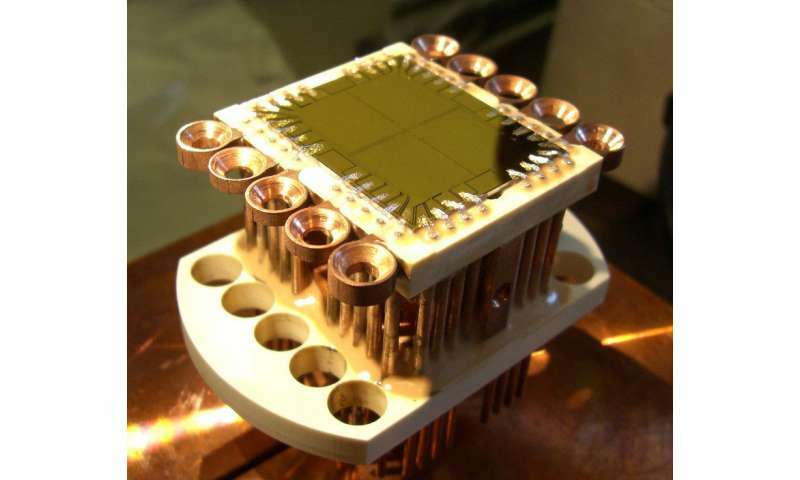 At TU Wien (Vienna), clouds of ultra-cold atoms have been studied for years. They are a perfect model system to study fundamental questions of many-particle quantum physics. Now the research team of Professor Jörg Schmiedmayer (Institute of Atomic and Subatomic Physics, TU Wien) has found remarkable results which cannot be explained by any of the existing theories. When two ultra-cold quantum gases are coupled, they can synchronize spontaneously, oscillating in perfect unison after just a few milliseconds. This means that textbook theories about Bose-Einstein-Condensates have to be revisited. The results have now been published in the journal Physical Review Letters. 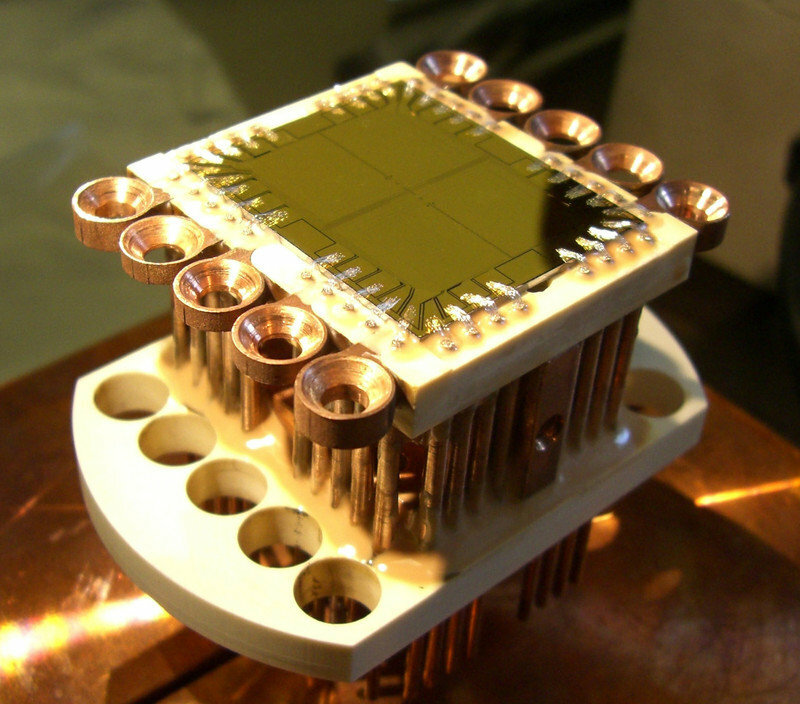 "We use a specially designed atom chip to cool down the atoms and modify their properties", says Jörg Schmiedmayer. "The chip can trap hundreds or thousands of atoms and manipulate their collective properties with electromagnetic fields." At first, a cloud of atoms is cooled down to a temperature of just a few nanokelvins. "Then, using the atom chip, we create a barrier, separating the cloud into two parts", says Marine Pigneur, first author of the paper and Ph.D. student in Schmiedmayer's team. "If the barrier is low enough, atoms can still pass from one side to the other by an effect called quantum tunnelling. Therefore, the two atom clouds are not completely independent, they are coupled." According to quantum physics, every object can be described as a wave. The wave properties are not visible to us, because the objects we are dealing with every day are too large and too hot. The behaviour of cold atoms, however, is strongly influenced by these wave properties. One of these properties is the phase, which can be understood by comparing the quantum wave to a ticking clock: "Imagine two identical pendulum clocks", says Jörg Schmiedmayer. "They may be perfectly synchronized, so that the two pendulums both reach their lowest point at exactly the same time, but typically, their motion is a little bit out of sync. In that case, we speak of a phase difference between the two pendulums." When the two atom clouds are created, they start out with no phase difference – they are perfectly synchronized. But using the atom chip, they can be de-synchronized. The quantum phase difference between the two atom clouds (the extent to which they are out of synch) can be controlled with great precision. Afterwards, the two clouds are carefully monitored to see whether this phase difference changes over time. If two classical pendulums are coupled by a rubber band, the band will dissipate some of the energy and the two pendulums will synchronize. Something similar happens to the two atom clouds: if they are coupled, they synchronize automatically, in a remarkably short amount of time. "This sounds normal, when we think about pendulum clocks, but according to the well-established theories of Bose-Einstein-Condensates, this is quite surprising because we don't have dissipation", says Jörg Schmiedmayer. "In a quantum system such as ours, which is shielded from the environment, we would expect periods of synchronization alternating with de-synchronization forever." "In the process of de-synchronizing the clocks, we bring the system out of equilibrium", says Marine Pigneur. "Most theories so far successfully describe the coupling of Bose-Einstein-Condensates in equilibrium, but they are insufficient to describe the out of equilibrium situation and the synchronization we observe." The fact that the "quantum rhythms" of the two atom clouds are exactly the same after only a few milliseconds implies the existence of a mechanism that dissipates energy. As the system is isolated from its environment, energy cannot be dissipated but only transferred. "The coupling as accounted in textbooks theories cannot transfer energy as strongly and quickly as we observe. So either these theories are missing something – or they are just wrong. It means that it is our understanding of the interaction between the atoms itself which must be modified." With this surprising finding, the research team hopes to stimulate further research in this area. "After all, the behaviour of many-body quantum systems out of equilibrium is one of the big unsolved problems of modern physics", says Jörg Schmiedmayer. "It connects to many fundamental questions – from the state of the early universe right after the big bang to the question why strange quantum effects can only be observed on a tiny scale, whereas larger objects obey the laws of classical physics."